HTC set to release yet another device called HTC U11 Eyes. The phone has been scheduled to be officially launched in first quarter of 2018. Below is what you should expect from the device. HTC U11 Eyes will be coming with a FullView 6-inches screen display, water and dust resistant, 4G LTE network support, runs on Android 7.1 Nougat which is powered by Snapdragon 652 processor. There's also a rear 12MP camera with dual flash and 5MP front camera without flash. Features a rear-mounted fingerprint scanner, 4GB of RAM as well as 64GB inbuilt storage and a non-removable 3930mAh battery capacity to keep the phone light on. Price About 420 EUR / $512 USD / N184,000 in Nigeria. HTC U11 Eyes phone specificatons, features, price, released date, review. 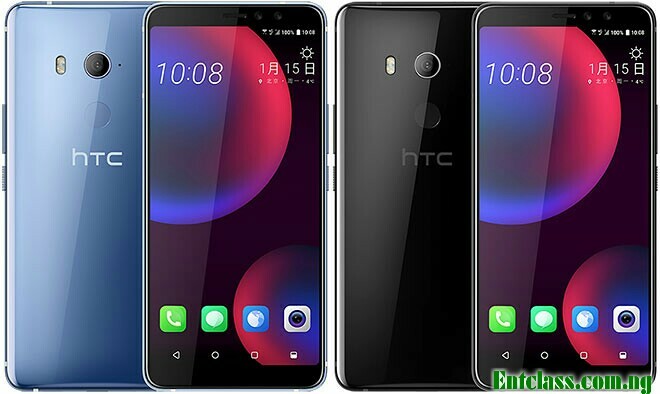 HTC U11 Eyes launched date, specs, price. I don't really have one in mind now. Looks very elegant, and quite pricey.